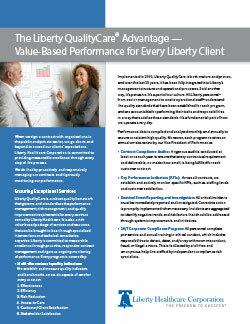 Liberty Healthcare is certified as a quality improvement organization (“QIO-like Entity”) by the Centers for Medicare & Medicaid Services (CMS) to conduct external quality reviews, utilization reviews, and analysis of patterns of care. 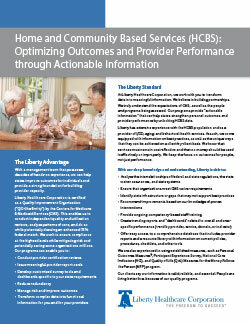 Liberty has extensive experience developing and managing large-scale Home and Community-Based Services (HCBS) quality and performance measurement programs, including on-site person-centered reviews, provider performance measurement, service utilization reviews, satisfaction surveys, risk management, mortality reviews, financial reviews, investigations, and other quality reviews that span the full range of disabilities and Medicaid HCBS waiver services. 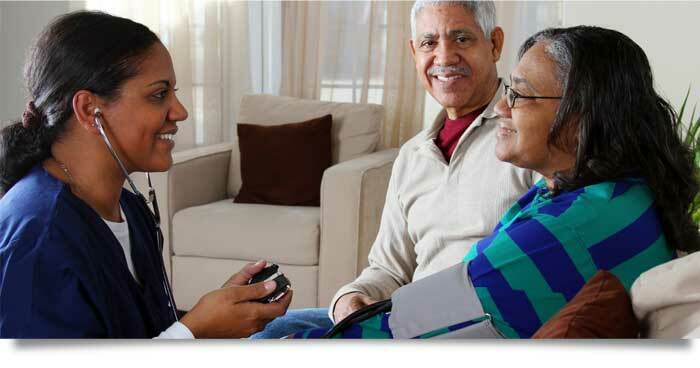 Given our unique depth and diversity as a manager and direct provider of health services to seniors and individuals with intellectual and developmental disabilities, serious mental illness, physical disabilities, and co-occurring disorders, we understand quality “from both sides.” We excel in the development of quality measures and tools that fit the specific regulations for customers in any given state, including provider-focused performance audits, person-centered individual reviews, and utilization reviews specific to intellectual and developmental disabilities. © 2019 Liberty Healthcare Corporation. All Rights Reserved.